Now this is the Jill Shalvis book that I know and love. After my horrendous experience with Get a Clue, I’m glad to read a Jill Shalvis book that I thoroughly enjoyed. Still the One was easy to get into and fall for the characters. Darcy and A.J. were fun to get to know and I love their sexual tension and their snarky banter. I really like what Darcy was trying to do with giving special dogs to those in needs. It made her character all the more special and unique. Being back in Sunshine, Idaho is always an interesting ride. I really need to go back and start the series from the beginning. All the characters just seem like a fun group of people I want to hang out with. 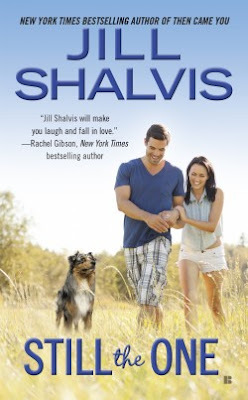 But seriously, this is the kind of Jill Shalvis’ book you need to read. Pick this one up!